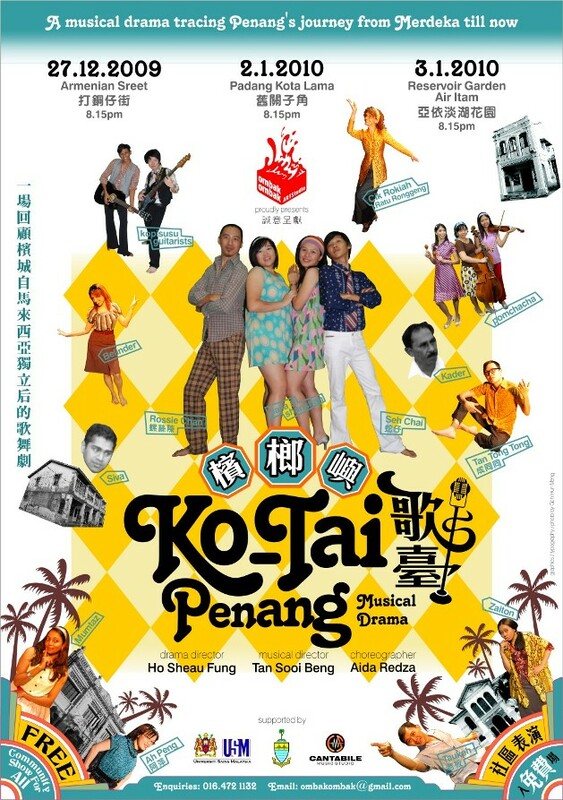 Ko-Tai Penang is a 40-minute musical dance-drama which traces Penang’s journey from Merdeka till now. It features the sung stories of multiethnic Penang residents, some of whom have been displaced as a result of development and the repeal of the Rent Control Act. Ko-Tai Penang captures the rhythms and sounds of street life and the trades of the diverse communities of Penang through song and dance. It highlights the changes in the cultural scene in Penang through the eyes of ronggeng dancers and street storytellers. This performance is a sequel to the highly acclaimed community performances entitled Kisah Pulau Pinang (2006) and Ronggeng Merdeka (2007) which traced Penang’s early history and featured Penang’s road to Merdeka respectively.